Yet all the things we are told, taught and come to believe in our lives can become roadblocks on our path to our destiny, the destiny that has many rewards waiting for us. Money doesn’t grow on trees, don’t be greedy, be grateful for where you are and stop wanting more. I am sure you have a slew of your own. What you are not told is that if you are in the tree growing business, money does kind of grow on trees. Wanting more is a natural instinct, design to drive us to create, enhance and leave the planet a better place. It is not greedy to want more… it is God’s design. Truth, you can be grateful, extremely grateful for what you have while wanting more. A belief is something that you tell yourself often enough to where you now think it is true. 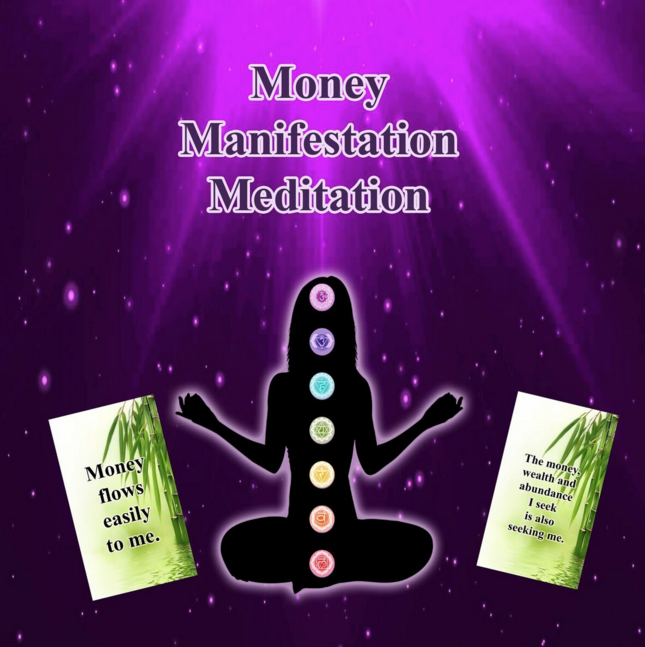 Since beliefs are the key to creating your future, when you meditate with the Money Manifestation Meditation you will create and strengthen the beliefs that will cause the universe to reveal to you, where the rewards that are already yours can be found. Starting with a relaxing introduction to open your subconscious mind, we repeat 30 powerful money manifestation affirmations. When in this meditative state, your mind will accept the truth, that you deserve to be wealth and that is the intended plan for your life. Once you firmly believe this, your actions will line up and you will begin acting in a manner that will produce the wealth that is rightfully yours. Get your wealth on and LOVE your glorious & prosperous life.